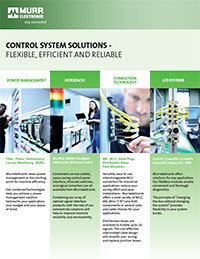 Hot off the presses, it's our 2018 Murr Control Systems Solutions brochure. 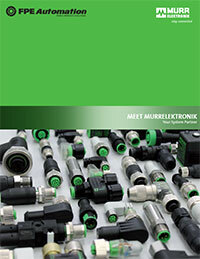 Download/view FPE Automation's Murr Control Systems Solutions catalog here. The Bullet Valve utilizes patented “lifting” solenoid technology. The MAC “lifting” configuration is unique, in that the valve maintains a balanced design – a signature feature of a MAC valve – shifting forces are consistently high and response times are repeatable regardless of inlet pressure fluctuations. 2-way and 3-way configurations of the BV cartridge (9mm, 10mm, 14mm, and 21mm) are available. The Bullet Valve is highly configurable. Hundreds of customer-specific optimized configurations have been innovated to meet particular performance parameters.